Jesus, Dinosaurs And More! | Awesomeness For Awesome's Sake. Wow…I don’t know where to start. 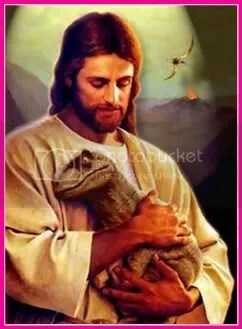 2) Evidence that Man and Dinosaurs were both Created by God on the same day, and lived together before Noah’s Flood, and (dinosaurs) became extinct shortly there after. 3) Man was Created in the Image of God, and Did NOT evolve from Ape-like creatures. Each so called “Ape-man” will be examined, and you will see the numerous misidentifications, frauds and cover ups that have taken place. You will also see the original complexity in God’s design of man and apes, and how much of this complexity has been lost due to degeneration. Whatever on number 3…make with the dinosaurs! People make fun of this kind of crap but it does make for a lot more exciting bible. I’ll say! It’s a shame I’m studying for chemistry (like it matters) right now instead of reading about Jesus and the dinosaurs (which is totally awesome)!